It completely escaped me that I never TRULY revealed our new floors. I've talked about them, and have given some peeks on Instagram, but I've never given you a real "before and after" - until now! 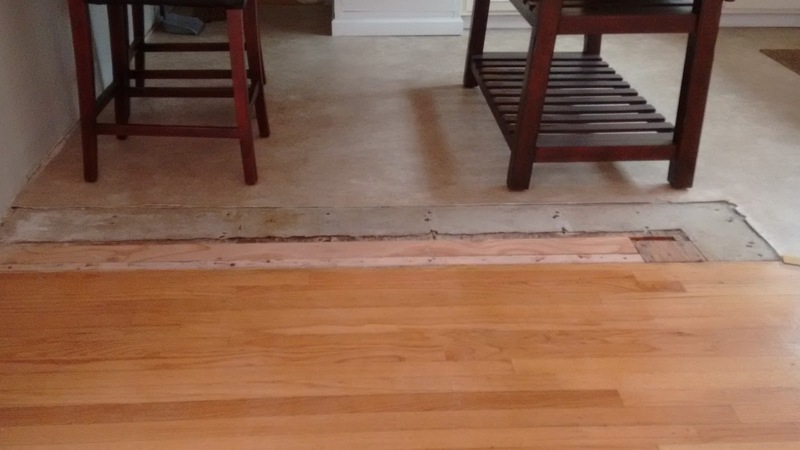 We replaced a combination of carpet, linoleum, and 2" oak floor boards - all of which had seen better days. In its place, 7-1/2" wide plank engineered hardwood was installed. 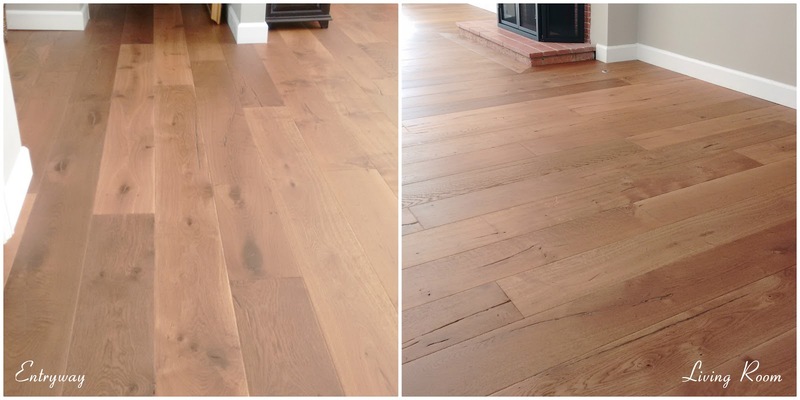 We selected a beautiful European oak in a mid-tone brown - neither light nor dark. 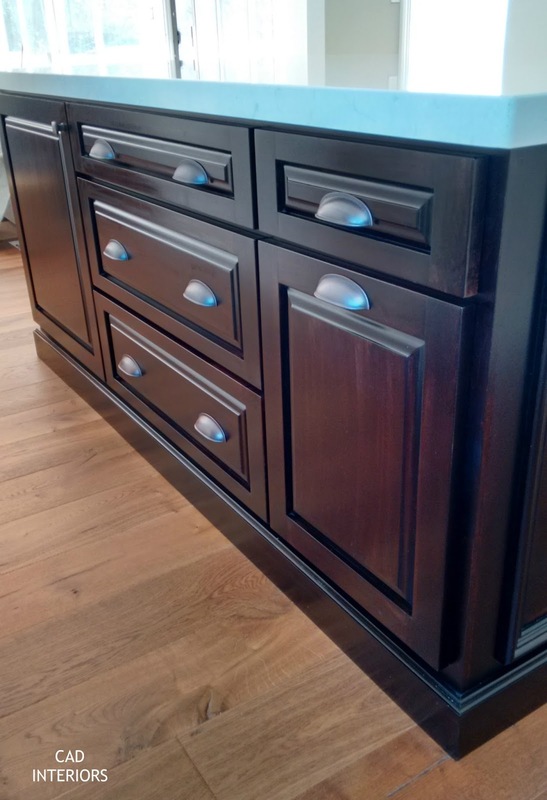 The wood provides so much warmth and texture, and the natural variation in the wood grain gives it a lot of depth and dimension. All of the common living areas now have hardwood. Only the bedrooms, which are carpeted, and the bathrooms, which are tiled, are hardwood-less. The family room had gray carpet when we moved in. Carpet was not practical whatsoever since this is a high-traffic space that also opens to the backyard. Engineered hardwood was a durable choice given how much daily action this room gets, as well as its inherent indoor/outdoor entertaining flow. I have yet to fully reveal the newly remodeled kitchen (I still need to paint the window trim! ), but I wanted to show you how the new wood floors look in comparison to the old linoleum that was previously there. When we demo'd the old peninsula that used to be in the original kitchen, there was a flooring "gap" left behind in its spot. Plywood was installed as a temporary measure until the floors were replaced in conjunction with the kitchen renovation. 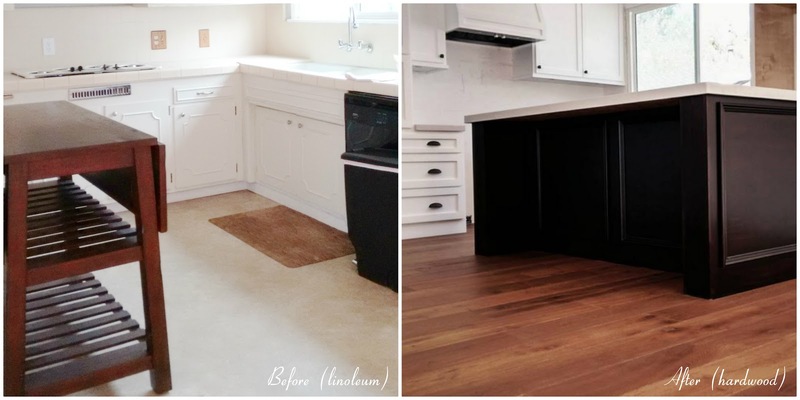 The change in flooring alone made a drastic difference. The linoleum always looked dingy to me no matter how much I cleaned them. 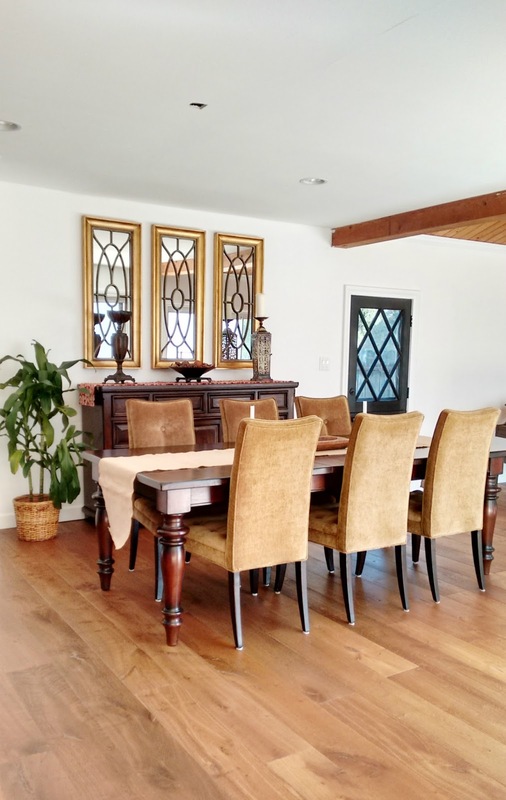 The dining room, which is getting a design makeover, also features the new hardwood floors. 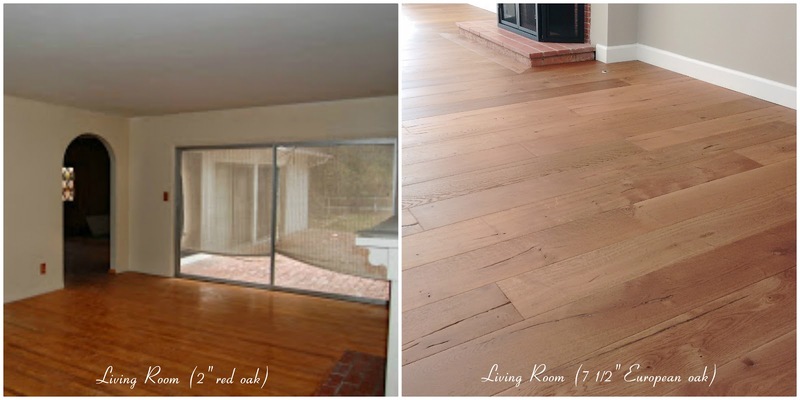 Installing the same hardwood flooring throughout the common areas was a deliberate decision. 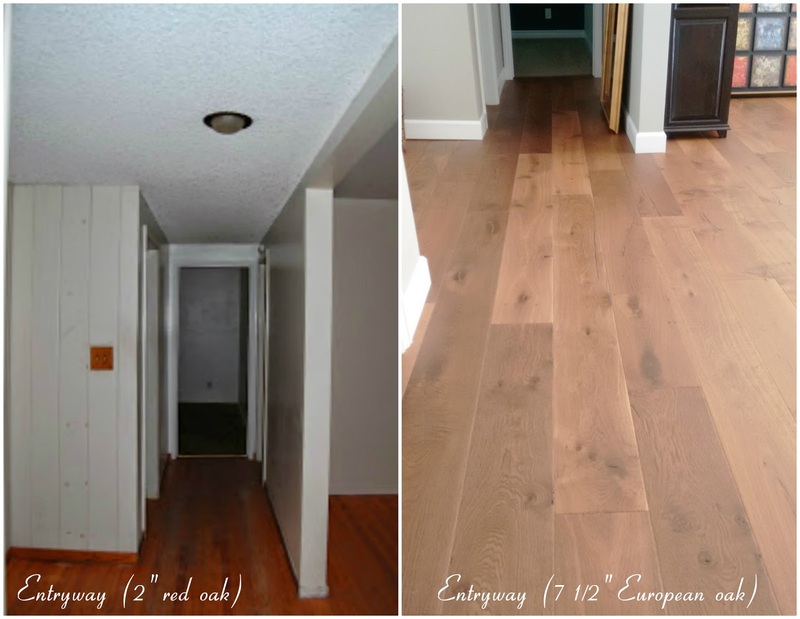 Consistent flooring provides visual continuity, which is especially important in open floor plans when square footage is more limited (like our home). It doesn't "chop up" spaces, and gives a sense of "expanse". The new hardwood floors really anchor the main living areas. They provide a nice foundation for layering in future furnishings and design elements. 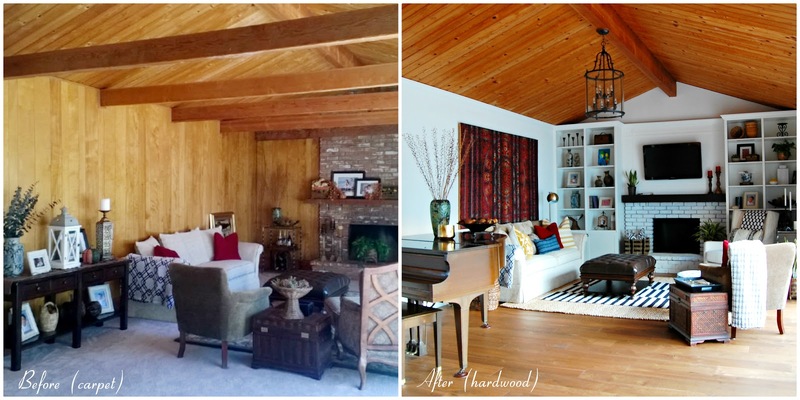 It's amazing how much floors can really transform the look and feel of a home! They look great and I love the hues. 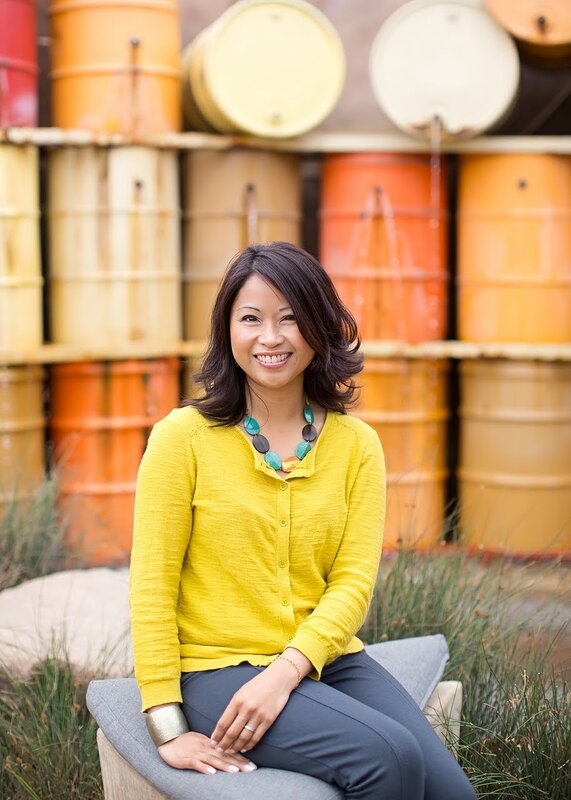 Floors are the special attraction of every home, therefore as a homeowner, I would like to add some extra ingredients in my home flooring by choosing the best flooring options. 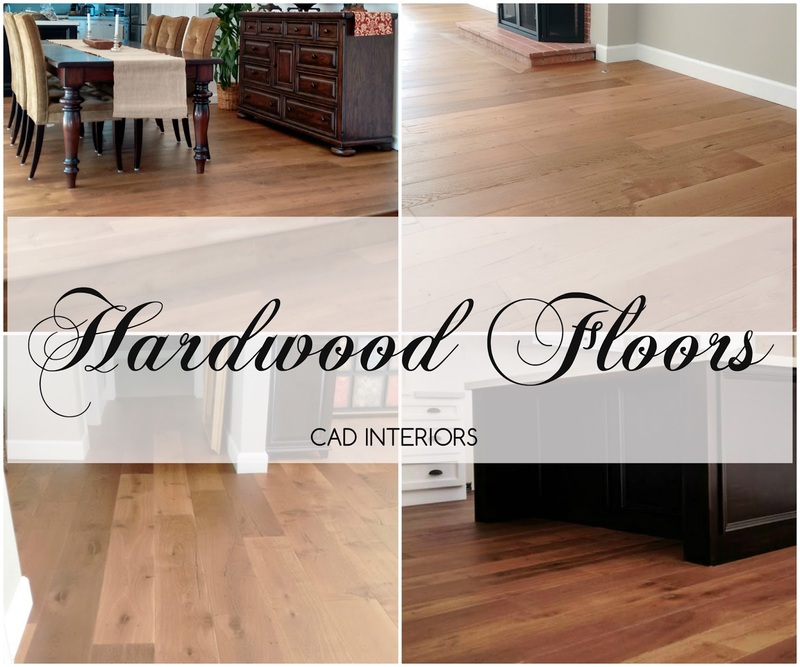 In my point of view hardwood floors the more in demands nowadays and due to its beneficial features, in most of the house and surface we have found the use of hardwood floors. Thanks for such a wonderful overview.